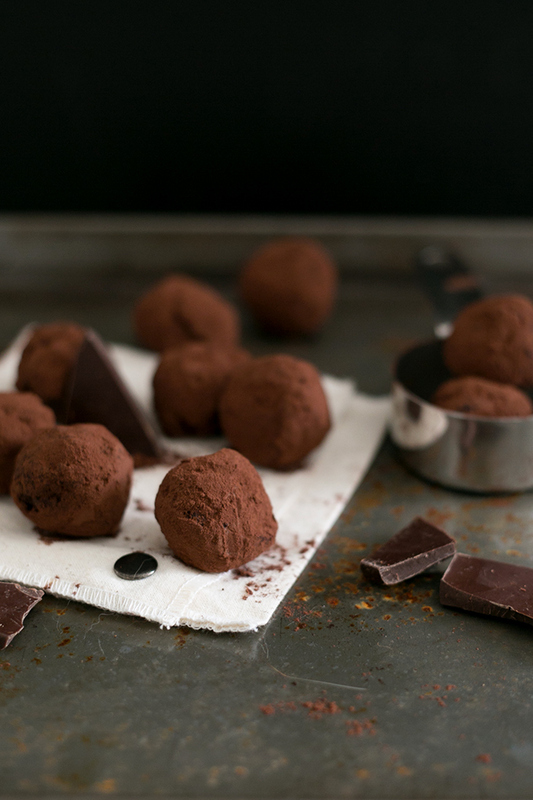 Simple Vegan Chocolate Truffles -this one’s for the chocoholics out there. Today’s recipe is a simple, fool proof Chocolate Truffle Recipe that you can make in a jiffy, with minimal clean up and maximum pleasure. Ha ha, if only minimal effort resulted in maximum pleasure in real life…. time to get my head out of the gutter 🙂 Back to these Vegan Chocolate Truffles! Regular Chocolate Truffles, if you don’t already know, are basically just chilled Chocolate Ganache that is scooped, rolled, and then coated with either Cocoa Powder, Nuts, Coconut, or anything you fancy really. My Simple Vegan Chocolate Truffles go back to the basics – chilled Vegan Chocolate Ganache rolled in Cocoa Powder. No fluff! I’ve seen a couple of 2 ingredient Chocolate Truffle recipes on the net, but this one is slightly different, with a touch of Maple Syrup, Sea Salt and Espresso Powder on top of Coconut Milk and High Quality Vegan Dark Chocolate. Chocolate always needs a little help to bring out its full flavor IMO. 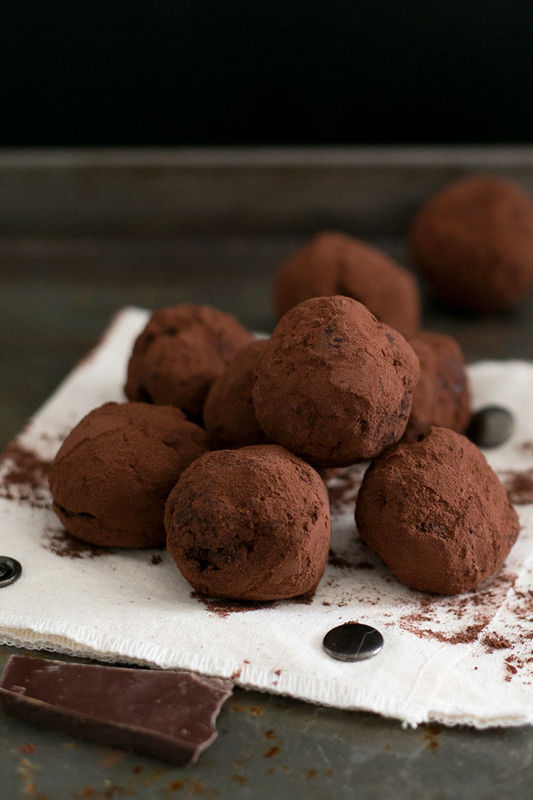 These little touches set these Vegan Chocolate Truffles apart from the others. 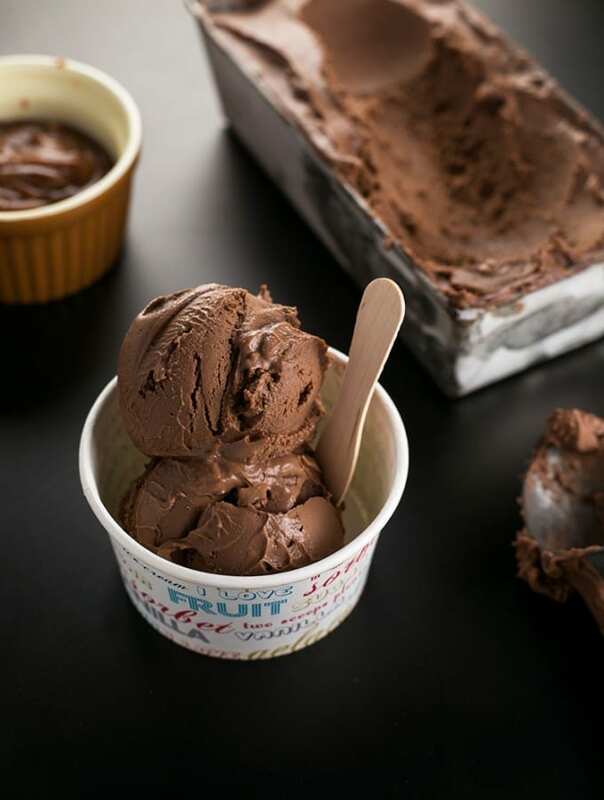 The Chocolate Ganache mixture comes together in a mere 5 minutes, and then is chilled for about an hour in the fridge or until firm and scoop-able. 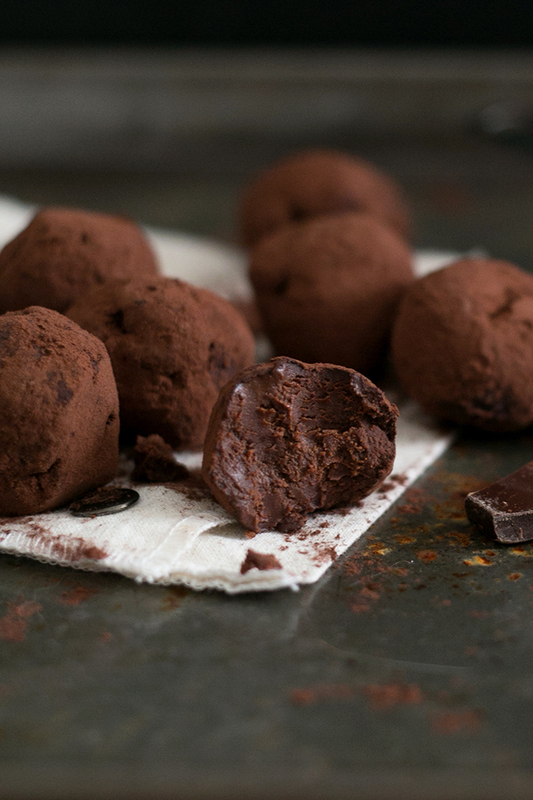 Once scooped and shaped, you simply roll your balls in Cocoa Powder. Whoop, instant Chocolate Truffles! I just love balls that are rolled in chocolate. They’re so nice to nibble on. 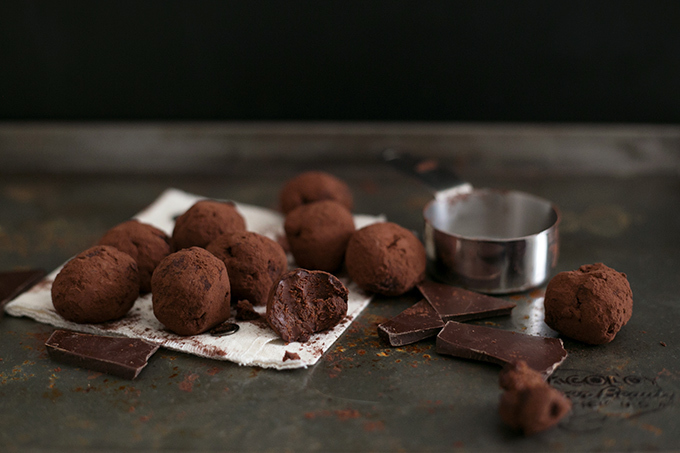 Scroll down for my Simple Vegan Chocolate Truffle recipe, and treat yoself to some ball munching after dinner this week! Simple Vegan Chocolate Truffles made with Dark Chocolate, Coconut Milk, Maple Syrup Sea Salt, Espresso and Vanilla Bean. 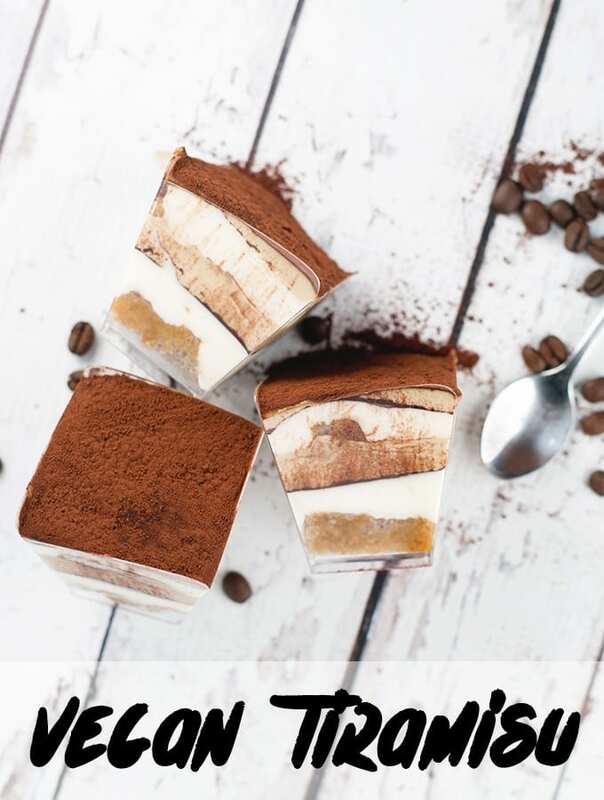 Easy to make, decadent, yum. Break Chocolate into pieces and place chocolate in a bowl. In a small saucepan, heat Coconut Milk on low heat until it comes to a full simmer. Do not let it boil. Take off the heat and pour hot Coconut Milk over broken chocolate. Let sit for a minute or two. After sitting, stir with a spatula until all the Chocolate has melted and you have a smooth Chocolate Ganache. Add Vanilla, Espresso Powder, Maple Syrup, Sea Salt and Liquor (if using), to ganache. Stir well. Chill your bowl of Ganache in the refrigerator until Ganache has thickened, firm and is scoopable, about 2-3 hours. Stir every 30 minutes or so to ensure it chills evenly. Once firm, using a teaspoon, scoop out portions of ganache and roll into balls with clean, cool hands. If your palms start to get warm and messy, wash your hands before continuing. Roll truffles in Cocoa Powder to coat. Store in refrigerator, and let thaw for 5-10 minutes before enjoying. Like these Vegan Chocolate Truffles? Don’t forget to follow me on Instagram, Pinterest and Facebook! I tried making this for a vegan friend and it absolutely does not work. Will not set, you just get a slightly thicker mouse. Nice idea but like a lot of vegan recepies, when you substitute vital ingredients, its a mediocre version at best. It's worked for everyone else who made it, but sorry if you had a bad experience with it. Hey there! 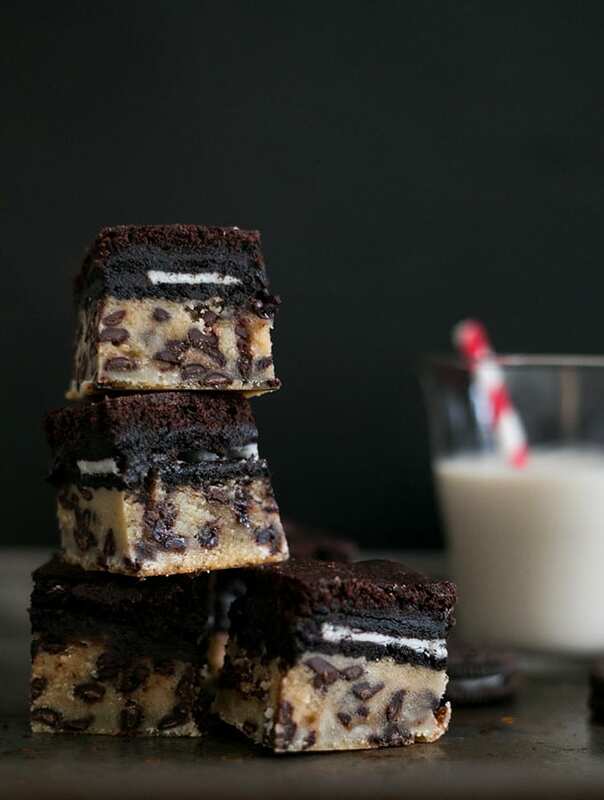 Gonna make these for Christmas.. Loads of them!😉 Couple of things 1) how many roughly does this recipe make and 2) hoe long would they keep in a fridge? I'm gonna try them with Cointreau I think! Yum and thanks! Hey Tom, thanks for taking the time to comment. I made about 12 truffles with this recipe and they can keep well in an airtight box for a few days. I wouldn't keep them uncovered as the refrigerator has a tendency to dehydrate sweets. Let me know how it goes! 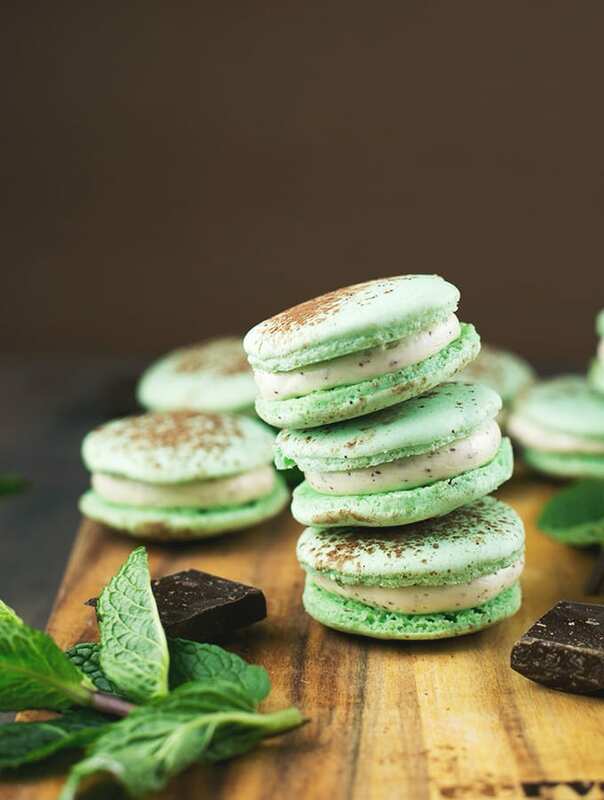 Do you add the vanilla, expresso, maple syrup, and salt to intensify the flavor or does it help the ganache keep it balled form? Ours are in the fridge as we speak, fingers crossed. Will let you know how they turn out! Hey Reve, did you use tinned coconut milk and a high percentage chocolate? Sometimes if the chocolate has too much added to it without enough cocoa solids, it won't firm up as well! Hi there Kathy, in Australia and Singapore (where i'm from) we don't have coconut milk that is not canned. Most recipes on the internet that state coconut milk are referring to tinned coconut milk, unless otherwise stated. Sorry about that! Would love to see volume measurements (e.g. t, T, cup) instead of or in addition to weights. Looks good! Would it be ok to use Soy milk or almond milk? I have coconut cream too actually. Any work? Hi, The recipe ingredients say coconut milk. The instructions reference cream and milk but no measurements for cream. Help! I'm confused. Still not been amended. I assure you mean add liquor not liquid when adding the remaining ingredients? Updated. Sorry, I also happen to have a full time job so I'm not always at the computer or able to change things immediately. Cheers. Is it fresh coconut milk, canned or coconut cream. Sorry I'm a bit confused! Hey Marie, It's the coconut milk that comes in a tin - sometimes at the asian section of the grocery store. Thank you Amrita. I shall try making them, they looks amazing. 95g coconut milk? As in the powder or 95g of the liquid itself? I've never seen coconut cream in my grocery store. Where is it usually at? Usually in the asian section! feel free to use coconut milk instead!